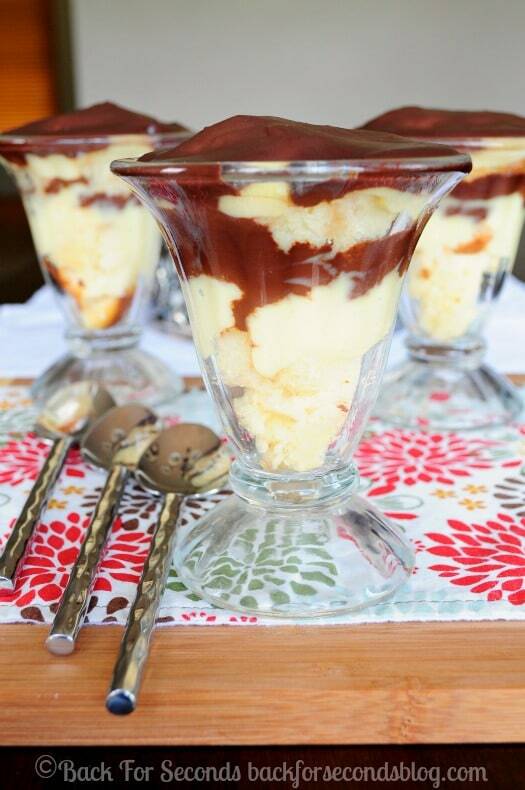 Making Boston Cream Pie Parfaits from Scratch isn’t a hard as you may think. This is a recipe I’ve made for my family for years, and it’s always a favorite! This homemade boston cream pie recipe is probably one of the most requested, most loved desserts in my family. The cake itself is my favorite yellow cake, and it couldn’t be easier to make! 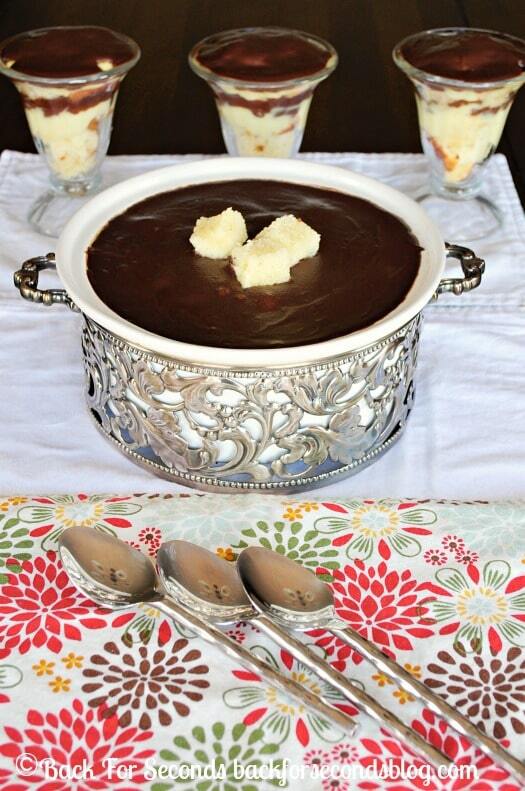 Boston cream pie is my dad’s favorite dessert, and growing up he always asked for it for his birthday. When I was old enough to bake, I gladly took over the cake making responsibilities, and made this cake for his birthday and father’s day every year. Last year, I made parfaits instead and came up with my own boston cream pie recipe. I don’t know if it was the change in the recipe, or if parfaits are just more fun to eat, but everyone was raving over them! After sitting on this recipe for a year, I figured it was time to finally share these parfaits with you! The cake is light, and moist, and the subtle hint of almond makes it really special. The custard is smooth, and rich, and I added a touch of almond there too, along with the vanilla, and it is absolutely divine! Then there’s the ganache. Need I say more?? Boston Cream anything and I are the best of friends! These parfaits are too cute, and full of my favorite flavors! I am the same way! Thanks Alyssa! I would request this all the time too, Stephanie. It looks incredible! So easy too, love it! Thanks, Matt! Easy is my favorite, ha! Boston Cream Pie Donuts are my fav! So I am totally into a parfait version..so creative! I absolutely love Boston cream pie. I think it’s the custard mixed with chocolate that does it. This version is so fun! I feel the same way, Kim. thanks! I’ve got my spoon ready, pass me a parfait please. 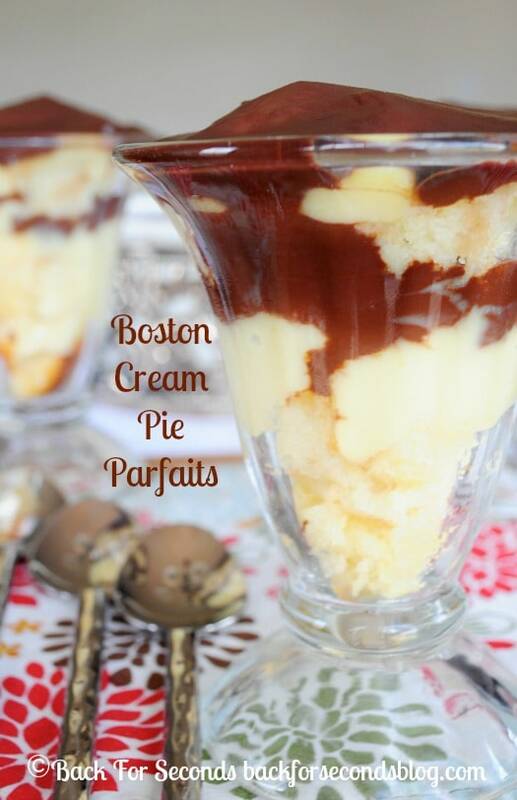 I love Boston Cream Pie, I can only imagine how great these parfaits taste!!! Mmmmm. I wish I had one of these parfaits in front of me right now!